It is heartbreaking to read the details that are emerging concerning the killing of Trayvon Martin in Sanford, Florida. Various theories have been advanced to explain how Trayvon, an unarmed African-American teenager, was shot in the chest by a neighborhood watch captain in a gated community. Some have focused on the potential bad disposition of the shooter, while others have cast Trayvon as a potential aggressor. But the most compelling explanation may relate to the impact of implicit racial bias. Indeed, the tragedy of this case may ultimately come down to a toxic combination of negative stereotypes (linking blacks and crime) and a culture increasingly encouraging private law enforcement. African Americans face a significant and menacing threat, but it is not the one that has preoccupied the press, pundits, and policy makers in the wake of several bigoted murders and a resurgent white supremacist movement. While hate crimes and hate groups demand continued vigilance, if we are truly to protect our minority citizens, we must shift our most urgent attention from neo-Nazis stockpiling weapons to the seemingly benign gun owners among us – our friends, family, and neighbors – who show no animus toward African Americans and who profess genuine commitments to equality. Our commonsense narratives about racism and guns – centered on a conception of humans as autonomous, self-transparent, rational actors – are outdated and strongly contradicted by recent evidence from the mind sciences. Advances in implicit social cognition reveal that most people carry biases against racial minorities beyond their conscious awareness. These biases affect critical behavior, including the actions of individuals performing shooting tasks. In simulations, Americans are faster and more accurate when firing on armed blacks than when firing on armed whites, and faster and more accurate in electing to hold their fire when confronting unarmed whites than when confronting unarmed blacks. Yet, studies suggest that people who carry implicit racial bias may be able to counteract its effects through training. Given recent expansions in gun rights and gun ownership – and the hundreds of thousands, if not millions, of private citizens who already use firearms in self-defense each year – this is reason for serious concern. While police officers often receive substantial simulation training in the use of weapons that, in laboratory experiments, appears to help them control for implicit bias, members of the public who purchase guns are under no similar practice duties. In addressing this grave danger, states and local governments should require ongoing training courses for all gun owners similar to other existing licensing regimes. Such an approach is unlikely to run into constitutional problems and is more politically tenable than alternative solutions. If you’d like to read a free copy of the entire article, click here. African Americans face a significant and menacing threat, but it is not the one that has preoccupied the press, pundits, and policy makers in the wake of several bigoted murders and a resurgent white supremacist movement. While hate crimes and hate groups demand continued vigilance, if we are truly to protect our minority citizens, we must shift our most urgent attention from neo-Nazis stockpiling weapons to the seemingly benign gun owners among us—our friends, family, and neighbors—who show no animus toward African Americans and who profess genuine commitments to equality. Our commonsense narratives about racism and guns—centered on a conception of humans as autonomous, self-transparent, rational actors—are outdated and strongly contradicted by recent evidence from the mind sciences. Given recent expansions in gun rights and gun ownership—and the hundreds of thousands, if not millions, of private citizens who already use firearms in self-defense each year—this is reason for serious concern. While police officers often receive substantial simulation training in the use of weapons that, in laboratory experiments, appears to help them control for implicit bias, members of the public who purchase guns are under no similar practice duties. 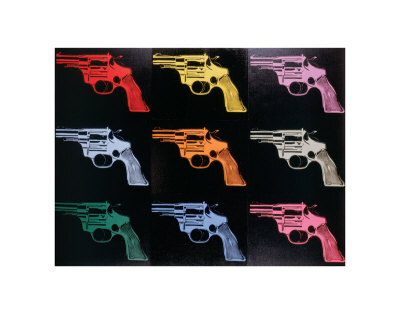 David Kairys has recently posted his fascinating essay, “Why Are Handguns So Accessible on Urban Streets?” (forthcoming in Against the Wall: Poor, Young, Black, and Male (Elijah Anderson, ed., Penn Press, 2008) on SSRN. Here’s the abstract. This short essay explains why it is easier for young black men in many poor, urban areas to obtain a handgun than an up-to-date school textbook or a regular job. A chapter of Against the Wall: Poor, Young, Black and Male, edited by Elijah Anderson with other chapters by Cornel West, William Julius Wilson, and Douglas Massey, the analysis focuses on handgun marketing and distribution and addresses the social and political context that yields easy availability of handguns. Under federal law and the laws of most states, any person so inclined can buy huge quantities of cheap, easily concealed handguns and sell them to others indiscriminately, often without violating any law and usually without having to worry much about getting arrested, prosecuted, or convicted. Nor are the identities of owners of handguns, or the persons to whom they transfer ownership, registered or maintained by government, unless state law so provides-and most do not. Convicted felons are not allowed to buy or possess handguns, but the marketing system up to that point is largely legal. The person who sells a handgun to a person with a felony conviction has no meaningful or enforceable responsibility. Though the handgun debate is commonly cast in terms of “illegal guns,” the central problem resides in what continues to be legal. Large cities facing declining job opportunities, losses in population and tax revenues, and rising levels of deprivation are being forced to accommodate virtually unregulated handgun markets. The cultural and political identification with guns and the unregulated handgun markets have continuing broad support almost exclusively in rural areas and have been imposed on urban and minority communities. The chapter examines proposed handgun regulations and the political and cultural opposition to them. Diamond realized that Yali’s question penetrated the heart of a great mystery of human history — the roots of global inequality. Why were Europeans the ones with all the cargo? Why had they taken over so much of the world, instead of the native people of New Guinea? 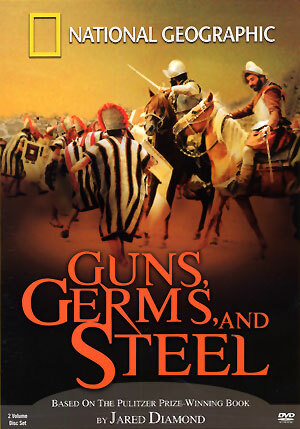 How did Europeans end up with what Diamond terms the agents of conquest: guns, germs and steel? It was these agents of conquest that allowed 168 Spanish conquistadors to defeat an Imperial Inca army of 80,000 in 1532, and set a pattern of European conquest which would continue right up to the present day. Diamond knew that the answer had little to do with ingenuity or individual skill. From his own experience in the jungles of New Guinea, he had observed that native hunter-gatherers were just as intelligent as people of European descent — and far more resourceful. Their lives were tough, and it seemed a terrible paradox of history that these extraordinary people should be the conquered, and not the conquerors. To examine the reasons for European success, Jared realized he had to peel back the layers of history and begin his search at a time of equality — a time when all the peoples of the world lived in exactly the same way. Naïve Cynicism in Election 2008: Dispositionism v. Situationism? This post was originally published on April 23rd. Because the “elitism” card continues to played, we thought it worthwhile to republish this post for those who might have missed it the last time. In case you missed it, the last week and a half have been a bit rough for the golden boy from Chicago. To boil down hundreds of hours of cable news commentary, political punditry, and radio talk-showery: Obama called certain working-class Midwesterners bitter, and everyone else called Obama elitist. The conventional wisdom is that Hillary’s success in Pennsylvania last night was at least partially the result of Obama’s remarks. In the debates about how deep the offense to Midwesterners might have been and, more important, how, if at all, Obama might recover from the gaff, relatively little attention was given to whether Obama’s remarks were accurate and to why the charge of “elitism” has been so common and such a show-stopper for democratic candidates in each of the last three presidential elections. To answer those questions, it’s helpful to understand that there is a real, meaningful divide in America—a great rift that extends across debates. We’re not referring to the gulf between elitists and commoners, but rather a division in attributional proclivities: a divide between relative dispositionists and relative situationists. As we explore in an article published this week (“The Great Attributional Divide“), dispositionists tend to explain outcomes and behavior with reference to people’s stable dispositions (i.e., personalities, preferences, character, values and the like), and situationists tend to base attributions of causation and responsibility on unseen (though sometimes visible) influences within us and around us. A situationist is more likely to view the housing crisis as not simply the result of bad apples making bad choices, but also, more significantly, about changing cultural beliefs concerning borrowing money, serious problems in our financial markets and regulatory regimes, and other system-level concerns. A dispositionist, when assessing a policy concern, is more likely to employ the words “bootstraps,” “hard work,” “tough love,” and “strength of character.” In those ways, the different methods of constructing causal stories and assigning fault color individual issues from gay marriage to welfare and from abortion to social security reform. Those attributional styles also help define the walls of the broader liberal-conservative crevasse. Broadly speaking (with some notable exceptions), conservatives tend to be more dispositionist and progressives tend to be more situationist. That is true, in part, because, as Situationist contributor John Jost has demonstrated, (e.g., here), conservatives exhibit stronger needs for order, structure, and closure, a more potent sense of system threat, greater intolerance for ambiguity, and a greater acceptance of inequality, among other things — interior factors that align with the elements underlying dispositionism. As this blog is devoted to documenting, despite being the dominant framework, dispositionism is a less accurate attributional approach than situationism. The mystery of how dispositionists nonetheless maintain confidence in their attributions is only explained by understanding a dynamic that we call “naïve cynicism”: the basic subconscious mechanism by which dispositionists discredit and dismiss more accurate situationist insights and their proponents. As we explain in a forthcoming article, naïve cynicism predicts that, like most humans, dispositionists put great faith in the veracity of their perceptions and conceptions of how the world works. They see themselves as objective and reasonable and expect other reasonable and objective people to reach the same conclusions as they do. As a result, when a dispositionist encounters a situationist attribution that conflicts with his own causal story, that person experiences a cognitive conflict, and naïve cynicism provides a ready resolution: explaining the opposing attribution as the product of bias, ignorance, or some other flaw. Rather than engage the substance or merits of the conflict, naïve cynicism involves an attack on the perceptions, cognitions, or motivations of the individuals and on the institutions associated with the situationist conception. Without it, the dominant person schema—dispositionism—would be far more vulnerable to challenge and change, and the more accurate person schema—situationism—less easily and effectively attacked. Naïve cynicism is, thus, critically important to explaining how and why certain legal policies manage to carry the day—and why certain presidential candidates carry an election. 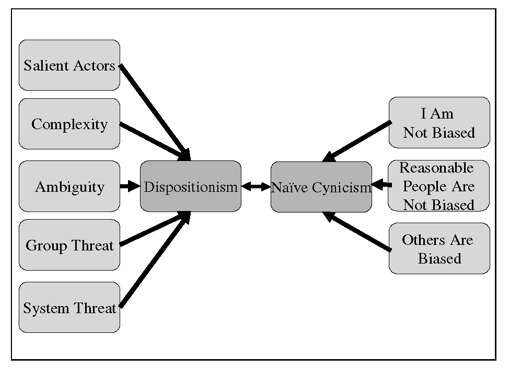 The details of naïve cynicism, as depicted in the above diagram (from our article), are too complex to review here, as are the various reasons why this dynamic is so effective. For present purposes, however, we can boil down all the factors to one simple naïve-cynicism-promoting frame that dispositionists employ to minimize situationist ideas: the individuals, groups or institutions that offer situational arguments are unreasonable outgroup members that are attacking us, our beliefs, our system, and the things we value. It is this frame that helps to energize, coalesce, and mobilize opposition to the relative situationist perspectives, individuals, and institutions and to further encourage dispositionism. With that in mind, let’s return to Obama’s comments. Although inartfully phrased and somewhat lacking in nuance, Obama seemed to be hitting on a central situationist insight: people’s beliefs might be, at least partially, a product of their environments and experiences. People might be bitter because they felt powerless as a result of their situations, not because they had bitter “personality” types. People might be anti-trade or anti-immigrant, not because they had carefully assessed the various political positions and freely chosen the most convincing, but for the same reasons that struggling groups have historically felt animosity toward outgroups with whom they feel competitive. People might mistrust governments on economic issues and focus on religious or social issues in part because of the perceived futility of relying on the government to successfully address economic concerns. The evidence also suggests that external situational forces influence such internal situational tendencies significantly. The threat posed by 9/11, for instance, encouraged a shift toward conservative (dispositionist) ideological attributions and presumptions. Unstable social and economic situations would likely have a similar effect. Put differently, Obama’s remarks – call them elitist if you like – do not seem far off from what social scientists have discovered about the situational influences on people’s ideologies and political proclivities. Predictably, however, Obama’s comments were met with a strong dispositionist backlash, containing two key components: (1) the assertion that Obama’s remarks reflected his true (heretofore concealed) elitist disposition; and (2) that Obama’s comments were themselves an attack on us, our beliefs, our system, and the things we value. RUSH: . . . . So, Barack Obama, talking to a bunch of elitist millionaires and billionaires in San Francisco on April 6th, basically reveals what we have all known that all Democrats think of the people who make this country work. They hold average people in contempt! They don’t think average people are capable of overcoming the obstacles in life, they think they’re racists and bigots, homophobes and all of this, a bunch of hayseed hicks. This really isn’t news to those of us who have spent our lives studying leftists. . . .
. . . [W]hat’s happening here is that the Democrat Party, by itself, with its two top-tier presidential front-runners, is exposing who they are themselves for one and all to see. The Democrat Party is in an absolute mess over this because they know full well, when they’re in their little doors, behind their doors in the little cloakrooms in the privacy of their own moments, they are gnashing their teeth over the fact that the truth of who they are is coming out. Let’s go to the audiotape just to establish here what Obama said in San Francisco on April 6th, he was at a campaign fundraiser . . . . The quality is not all that good. But you can still hear it, and it’s indicative of who liberal Democrats are. Most importantly, it’s indicative of who Obama is! Obama is a radical socialist liberal. He always has been. His campaign has been an effort to cloud that, to mask it, to cover it up. . . .
OBAMA: It’s not surprising, then, that they get bitter, they cling to guns or religion or antipathy to people who aren’t like them or anti-immigrant sentiment or anti-trade sentiment as a way to explain their frustrations. RUSH: . . . . So basically people are a bunch of racists and bigots and kooks and hayseeds. . . . So he makes these comments to a bunch of elitist San Francisco millionaires and billionaires, and the point here has to be made that Obama was not just talking about the people of Pennsylvania. He was talking about people in Missouri, and southern Illinois, Iowa, North Dakota, Kansas, North Carolina, Alabama, flyover country, the people who make the country work. He is talking about all the people who did not use affirmative action to get into Harvard and Yale and Princeton, who don’t have the money to live in mansions in the cities; the people who I say make this country work; the people who will be in church on Sunday clinging to their God not because they have nothing else to hold onto, they cling to God — they are not even clinging to God, they are worshiping God. It is part of who they are. Now, this, to me, folks, makes all the Jeremiah Wright, Michelle Obama stuff crystal clear to anybody just glimpsing this. Damn the middle class, damn it. Michelle Obama has said as much, and so has Reverend Wright from the pulpit. The middle class, the people who pay the freight, the people who pay the taxes so these elites can destroy the country, the people who make the country work. Now, what’s happened here, folks, is that Barack Obama has succeeded in attacking not only American values, he’s done it by attacking the Americans who embrace those values. . . . It is one of the most insulting comments that a presidential candidate could make. He’s going out, he’s attacking the customers. He’s attacking his voters. But this is who they are, folks, this is who liberals are. The great thing about this is that Barack Obama’s telling all of us what all Democrats think of average Americans, which is why they want them to become dependent, why they want them to vote Democrat, they want them to be undereducated, they want them to be bigoted, they want them to be angry all the time, they want them to be fed up, they want them to be filled with rage, they want them to be hopeless. Contrary to his campaign being all about hope, he wants these people to be hopeless. . . . If there’s hate for the people who make this country work, if there is contempt for the people who make this country work, its home is smack-dab in the middle of the Democrat Party. . . . . He said what he said. And what he said was that middle America is full of redneck, God-fearing racists and bigots. That’s what he said. . . . . See, he’s bitter. Liberals are bitter and angry. You know this. You can listen to them talk about any circumstance in this country, any issue, from the war in Iraq to the economy to Wal-Mart to Big Oil to Big Drug, anything they talk about they are filled with rage, they are angry, and they want everybody else to be angry, they are bitter. . . .
. . . . The issue is that Obama exposed his attitude toward millions and millions of Americans which he had thus far concealed by dismissing previous efforts to reveal them based on his contacts and associations with people like Jeremiah Wright. This makes it totally clear to me why he will not disown and disavow Wright. He agrees with him! This is the same stuff that Jeremiah Wright believes. And his attitude is shared by the left in the media, the Democrat Party, universities, colleges, and so forth. When he made those comments to the San Francisco millionaires and billionaires, he was reinforcing their hateful and bigoted views. In short, Obama as well as the groups or institutions with which he is associated are unreasonable outgroup members that are attacking us, our beliefs, our system, and the things we value. Notice that built into Limbaugh’s logic are several tensions. For instance, Rush is, on one hand, indignant that “they” could prejudge “us,” but Rush has no trouble throwing large groups into a single category and calling them hateful and bigoted. More important, in denying that Midwesterners are bitter, he nonetheless seems to reflect and foment a deep bitterness. Rush’s rant exemplifies an extreme version of naïve cynicism in action, but there are less extreme versions of the dynamic influencing other commentators and politicians. The idea that the working class people don’t understand the world and cling to religion, the opium of the people, as Marx says, and Frank’s book is a new way to state it. It is an old left idea which goes back 100 years, and it’s a classic idea that if they only understood what the upper, academic left understands, they would act differently. What’s involved here, I think, is also a sense of this arrogance. It’s not only a personal arrogance. It’s a political, intellectual, and almost a class arrogance. And that, I think, in the end is going to hurt him, because it’s a question of character. More important, the naive cynicism dynamic also characterizes the reactions of the other presidential candidates to Obama’s now infamous remarks. McCain’s campaign, for instance, responded to Obama’s comments both by asserting that they revealed Obama’s bad disposition and by reassuring the public that the dispositionist take on the issues was reasonable and correct. In other words, Obama’s mistake was to characterize these people as not being in control of their beliefs, their ideologies, and their destinies. Obama’s situationist argument presented a “fundamental contradiction to what . . . America is”: a land where people think their own thoughts, embrace their own values, make up their own minds, and blaze their own trails all regardless of the circumstances. After all, Americans are disposition-driven choosers, not situational characters. In short, Obama and the groups and institutions with which he is associated are unreasonable outgroup members that are attacking us, our beliefs, our system, and the things we value. Although the vitriol of some of the barbs may come as a surprise, McCain’s dispositionist backlash aligns with what we would predict; ideologically, he is already prone toward the relatively dipositionist attributional style – and politically, the strategy is a proven one. Hillary Clinton’s use of the elitism card, on the other hand, is slightly more unexpected – not just because one is hard pressed to imagine a measure of “elitism” on which Obama scores higher than Clinton, but also because she is, at least when compared to most conservatives, a relative situationist. Apparently, though, trailing in the delegate count and with the clock ticking, the temptation to slice up her democratic rival has been too great for her to leave the potent political weapon of naïve cynicism in its sheath. “Now, like some of you may have been, I was taken aback by the demeaning remarks Sen. Obama made about people in small town America. 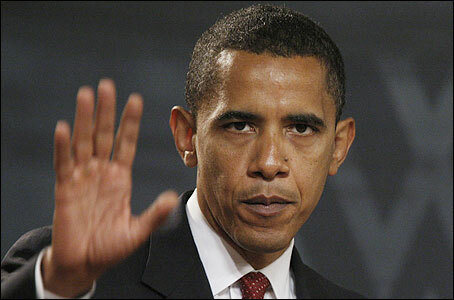 Sen. Obama’s remarks are elitist and they are out of touch. They are not reflective of the values and beliefs of Americans. Certainly not the Americans that I know — not the Americans I grew up with, not the Americans I lived with in Arkansas or represent in New York. “You know, Americans who believe in the Second Amendment believe it’s a matter of Constitutional rights. Americans who believe in God believe it is a matter of personal faith. Americans who believe in protecting good American jobs believe it is a matter of the American Dream. “When my dad grew up it was in a working class family in Scranton. I grew up in a church-going family, a family that believed in the importance of living out and expressing our faith. “The people of faith I know don’t ‘cling to’ religion because they’re bitter. People embrace faith not because they are materially poor, but because they are spiritually rich. Our faith is the faith of our parents and our grandparents. It is a fundamental expression of who we are and what we believe. “Americans are fair-minded and good-hearted people. We have ups and downs. We face challenges and problems. But our views are rooted in real values, and they should be respected. “If we are striving to bring people together – and I believe we should be – I don’t think it helps to divide our country into one America that is enlightened and one that is not. In short, Obama and the groups or institutions with which he is associated are unreasonable outgroup members that are attacking us, our beliefs, our system, and the things we value. If the situationist account of things is complex and counterintuitive, the dispositionist account feels logical and appealing. With her back up against the wall, Clinton’s choice of dispositionism is a potentially savvy move. It’s just easier to get votes when you tell people what they want to hear and know to be true: You are intelligent, hard-working, patriotic heroes, who exercise your freedom to choose – and anyone who says otherwise is insulting you and is a threat to all you hold dear. Hilary’s strategy may be successful in the short-run during her competition for the nomination. The problem, in our view, is that a longer-run perspective is needed in the competition for policy. By making dispositionist attributions Hillary is effectively endorsing dispositionism – she is legitimating and agreeing to play on a field that is not only badly flawed and uneven, but also favors the opposing team.